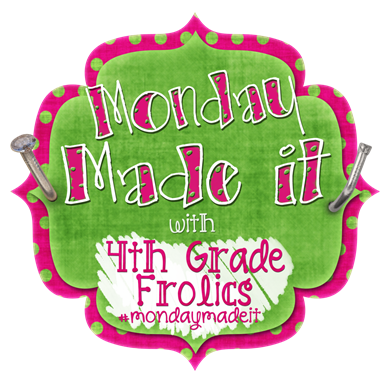 I am so happy to be linking up with Tara for Monday Made It! I can't remember the last time I linked up, so I'm glad I have something delicious to share today. Both my husband and I come from seafood-loving families, so shrimp or salmon is on our regular menu rotation. He often declares food that I make "the best ever," and I tend to think it's so I'll keep feeding him, but the compliments went on and on about this dish. I tend to agree- this was easy and delicious, and would be a great company meal. Preheat oven to 425 degrees F. Set a pot with salted water to boil. Peel and devein shrimp. If you're serving alone, leave the tails on. If serving with pasta, take the tails off- it's just neater that way! 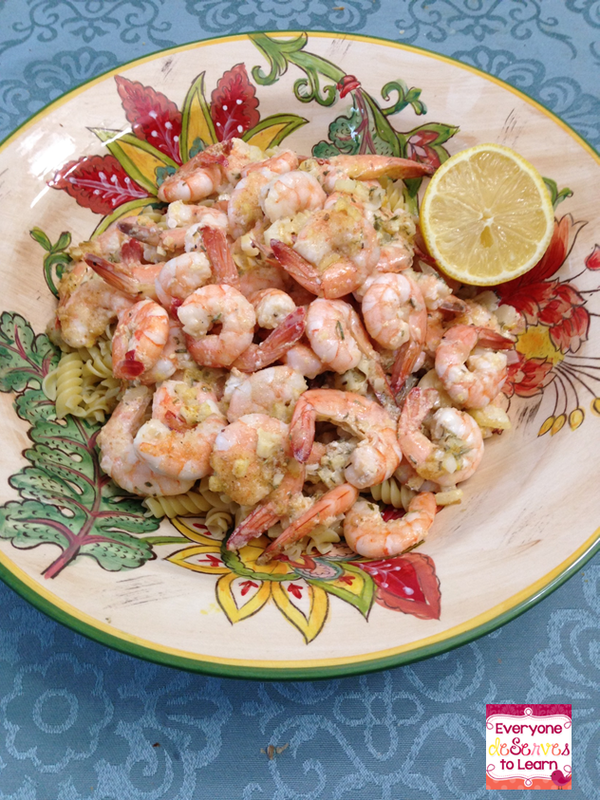 Toss shrimp with olive oil, wine, and 2 tsp salt and 1 tsp pepper. Allow to marinate. In another bowl, gently fold together the butter, egg yolk, garlic, onion, lemon juice, zest, and spices. In the meantime, add the pasta to the boiling water. 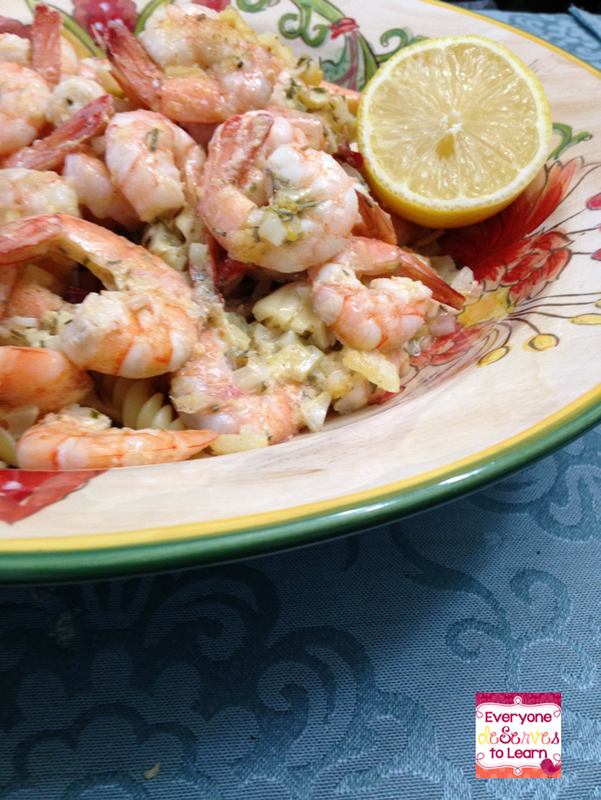 Lay shrimp in a single layer in a cast iron skillet or baking dish, and pour the remaining marinade over top. Finally, spread the butter mixture (like you would an apple crisp) over the shrimp and top with bread crumbs. Bake for 11 minutes. Drain the pasta and toss with the shrimp. Serve with a lemon wedge on the side. I also have a few classroom Made-It's! The first one is an addition to my Diary series, which I am super excited about! 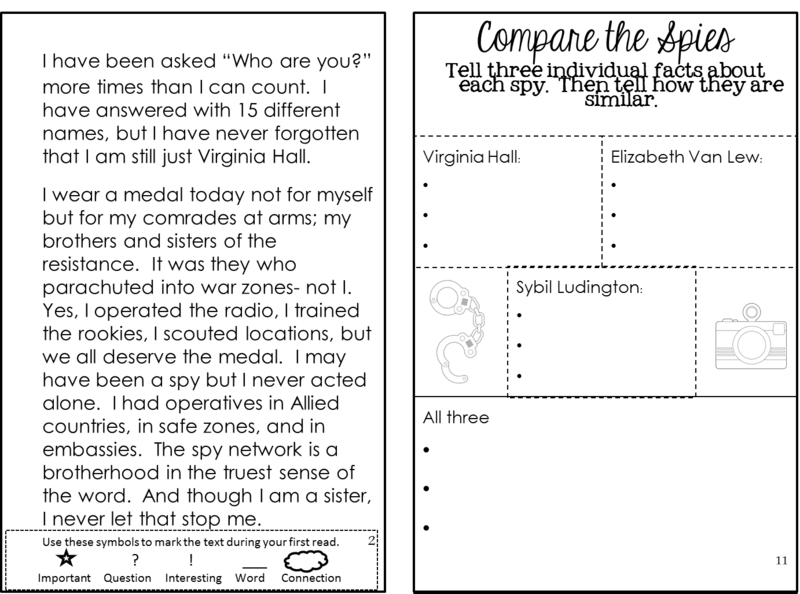 I read a book recently about Elizabeth Van Lew, a Union spy, and that inspired me to write a diary from the perspective of female spies in 3 different wars. I can't wait until this wonderful-amazing-fantastic-terrific testing (#sarcasm) is over so I can actually USE it!! I know my 4th graders are going to love it. And, I finally finished a project I started LAST year at this time! I had wanted to do an author study with my 2nd graders, but we ran out of time. Then I planned to do it in summer school, but we ran out of time. So this year I am making it a priority! I can't wait! 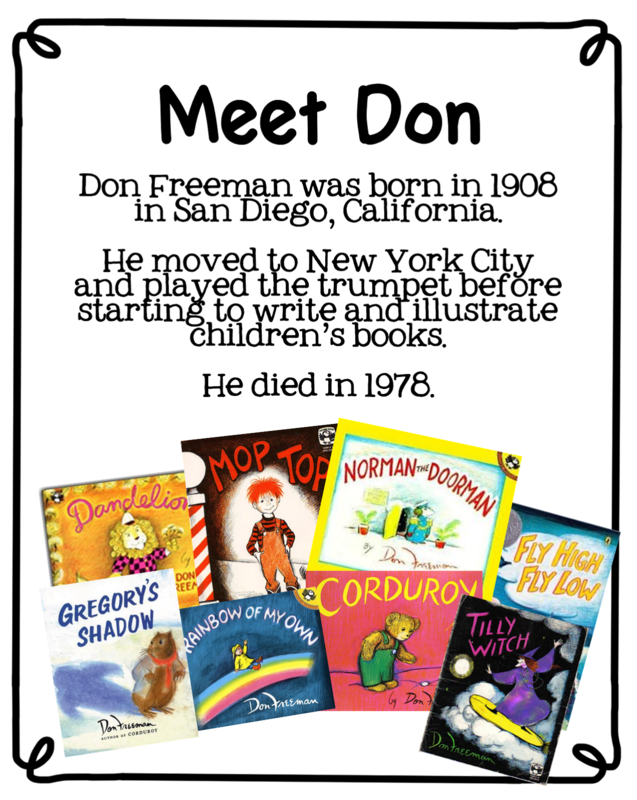 I love the Freeman books- Norman the Doorman and Fly High Fly Low are two of my very favorite children's books and I can't wait to share them with my students. Click any picture to check out the units. Is there something you want to squeeze in before the end of the school year? Leave it in the comments for a chance to win one of my made-its! 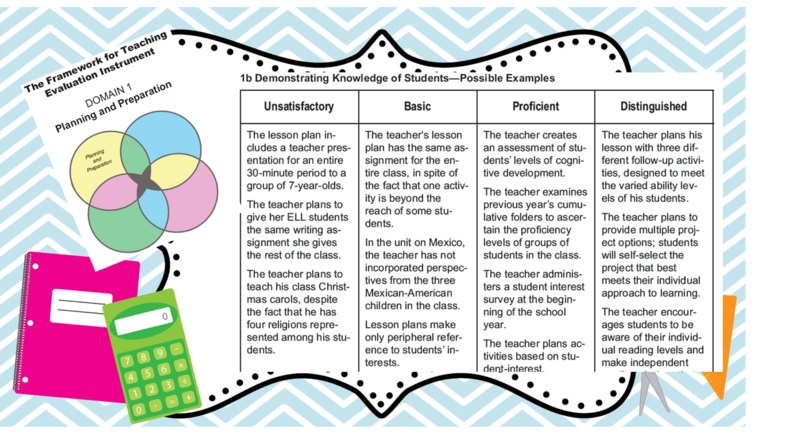 Recently, my teaching partner and I were asked by our principal to put together a presentation to go over ELL modifications in content area classes. In our school, we pull-out our ELL's for Language Arts but they remain in the classroom for all other content areas. Some have push-in support from a bilingual aide once or twice a week. With the implementation of the new teacher evaluation system, SGO's, and quite a few other things, we ELL teachers we are more than happy to make the modification process easier and more effective. We began with a quick look into the Danielson (our evaluation system) framework, focusing specifically on preparation and planning (modifications). Note the second paragraph in Unsatisfactory. We got a few gasps at that one! We continued onto a reading passage from a book called Pronouncing Words. I received a copy at a workshop and don't have the author's name. It is a comprehension passage of nonsense words, followed by questions. The teachers in the workshop were able to answer the text-dependent questions, but when the question asked about defining a word, they were stumped. 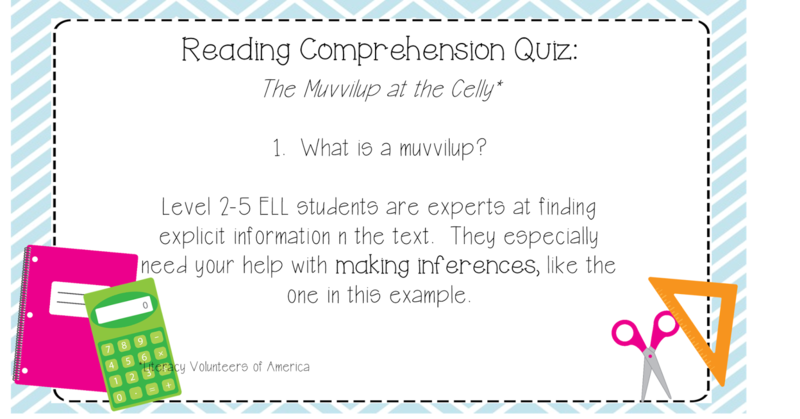 The purpose of the exercise was to explain that ELL students can find answers in the text, but many words are still unfamiliar to them- they will need background support and scaffolding in order to be wholly successful. 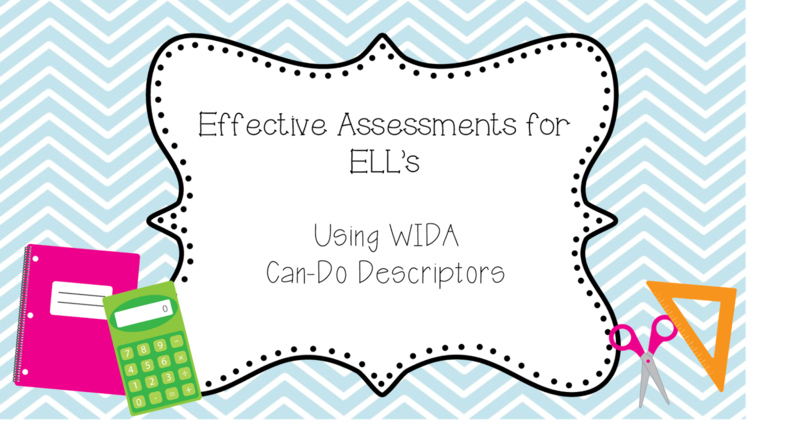 Next, we went over the WIDA Can-Do Descriptors, which you can find for grades 3-5 and grades 6-8 here on my blog. You can also find them in the full version on the WIDA website. Depending on your state, you may use CELLA or another measure of English Language Proficiency. Once we established each student's level, we moved to modification practice. 1. Do my students have to take the NJAsk? Short answer: yes. 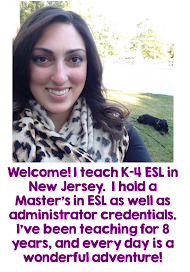 Long answer: All ELL's take grade-level math, no matter what. If your student has been in the country less than a year he/she does not have to take Language Arts. 2. Will they count to my SGO/SGP? If you have included them in your sub-group for SGO, then yes. For SGP, there are many criteria to take into account, including time spent in classroom, absences, and a few others. 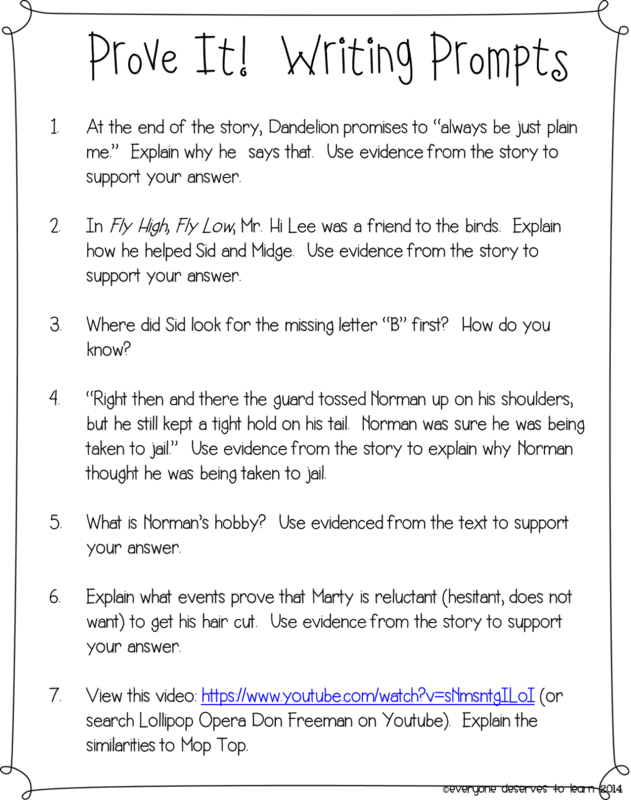 Remember that your students will be rated against students from other schools with the same demographic factors, such as Sp.Ed, ELL's, income, population, etc. I hope this was helpful! If you would like a copy of our presentation, click here to grab it from Google Drive. Don't Bug Us, We're Reading! Have you noticed my new blog design? My friend Megan from I Teach. What's Your Superpower and A Bird in Hand Designs has an awesome package where you can Build Your Own Blog, so that's what I did! I loved the original design I had, but just wanted a little bit of a "face-lift" and that's what I got! Check out all her blog designs- they are super cute! I was a little disappointed with the lack of pop, so I reached out to my Insta-friends for some inspiration. My friend Beverly had a great idea- add some tissue paper flowers! 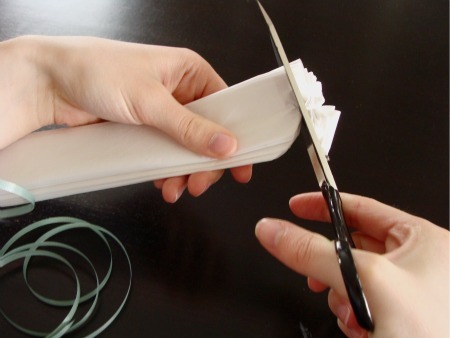 Well, I sat down on Saturday with a huge pack of tissue paper and this tutorial and got to work! My first one was a bust...even my husband laughed at it! My second try was much better. In fact, it looks almost exactly like the flowers from my wedding bouquet! After trying some ombre colors and various sizes, I put them up on the bulletin board. Makes me happy every time I walk by! Much more "WOW" don't you think? I love it! I seriously thought about spraying perfume/air freshener in my hallway...I'm still considering it. Maybe as an April Fool's joke? I <3 March! It seems like it will be in like a lion, so perhaps out like a lamb? Who knows! It is the birthday month of a doctor who write books about hat wearing cats, it has an excuse to play fun tricks on students and blame it on little green men, and, it's my birthday month! Fun from beginning to end is how I see it. I'm starting off that fun by joining in with Farley and her tie-wearing deer for this month's Currently. 1. I love sitting in my upstairs "formal" living room. My husband has kind of taken over our downstairs "family" room, where our big-screen tv is, leaving me the solitude and serenity of our bay window and sliding glass doors. I'm actually perfectly happy with that! I love to sit with a cup of tea and watch the neighborhood. 2. Dude. Kirkland's. I usually make two trips- once by myself, and once with my husband to carry the heavy stuff. It's kind of like Pier One meets Target Home meets Homegoods. I went last night to scope it out and we're going back today for mission: art. 3. 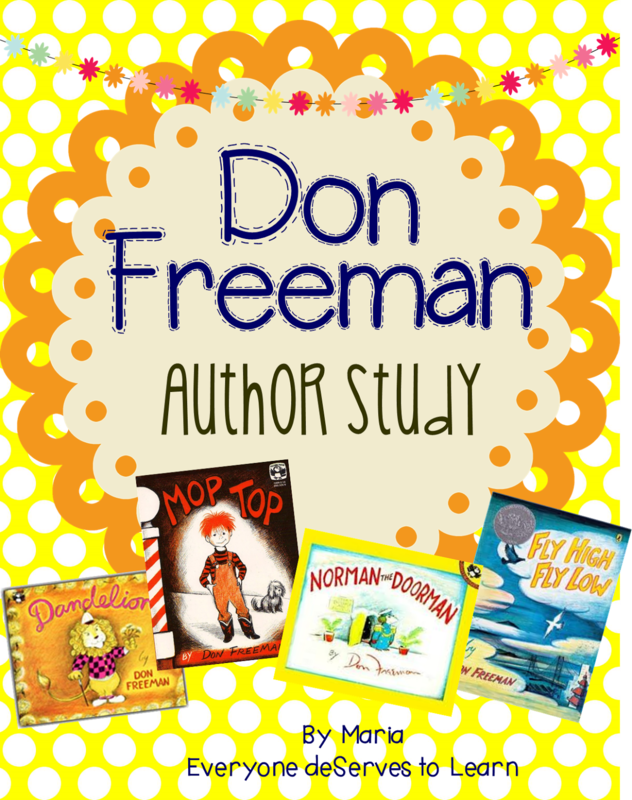 My Diary series has been pretty popular on TPT, and really really popular in my classroom. 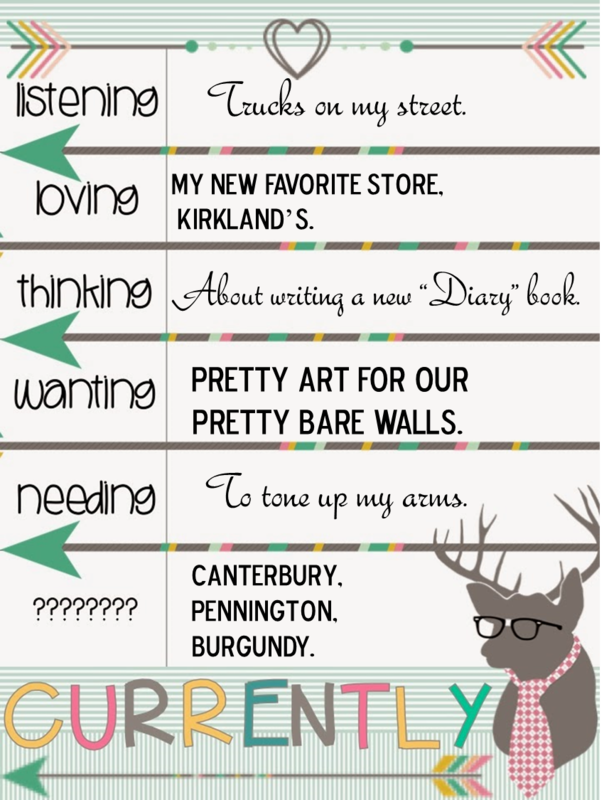 After Diary of a Pilgrim, my students kept asking me, "Are you going to write another diary?" So I did, but I wrote it for my little guys. My older kids were so jealous!! So when the Olympics rolled around, I wrote a Diary, and that one was the most popular one yet, which I'm so grateful for! But I'm not sure which direction to go next...any suggestions? What would you like to see? One idea I had was Amelia Earhart...I'm open to suggestions though! 5. For Spring Break, we're going on a cruise! Must start exercising yesterday. 6. Can you guess what Canterbury, Pennington, and Burgundy are? If you guess right, you can choose something from my store!! Leave your email with your guess! Happy Saturday, friends! Hope you have a wonderful weekend!